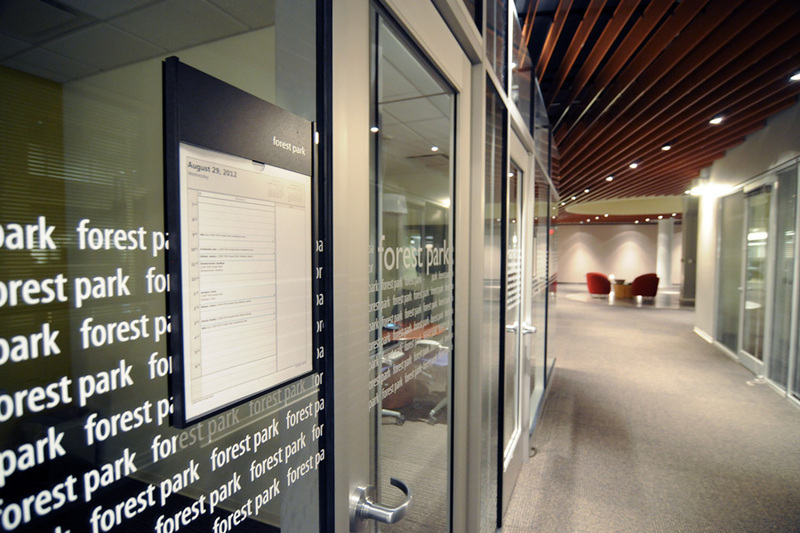 In our continued effort to support both WebMD and Truisi Design Group, White Design Group implemented our standardized signage and wayfinding elements for the WebMD Portland office location. 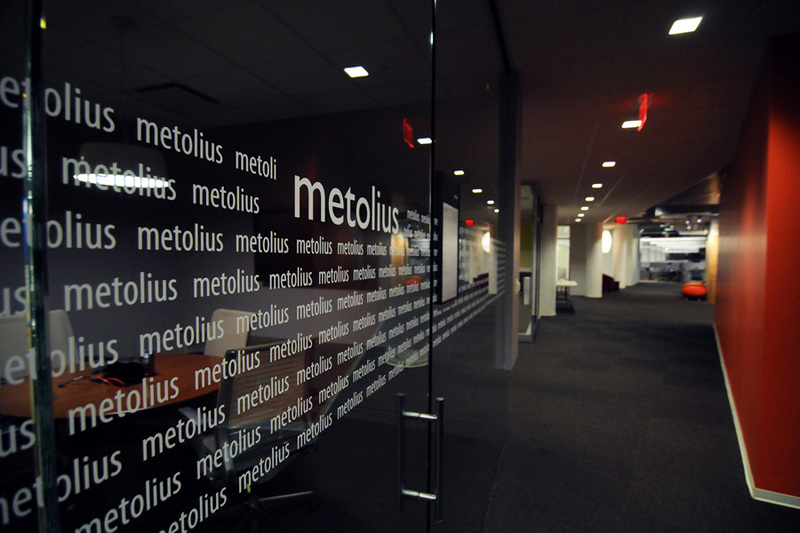 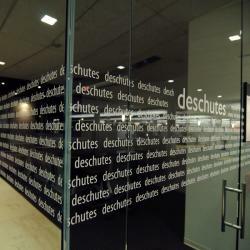 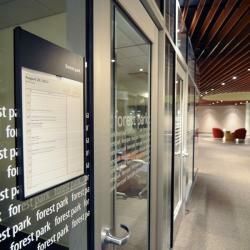 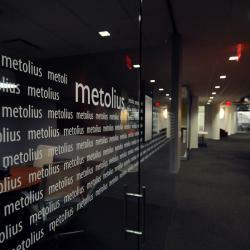 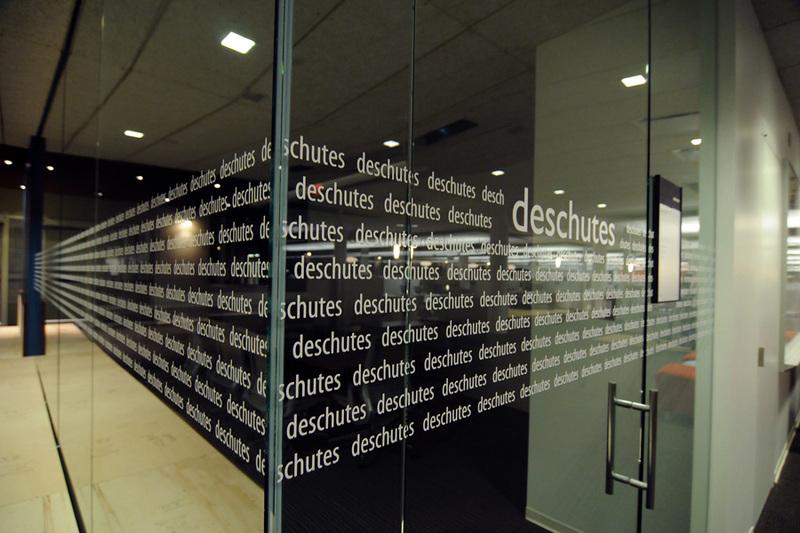 This interior branding effort involved signage, wayfinding and significant cut vinyl applications. 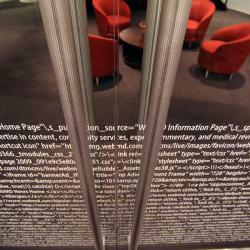 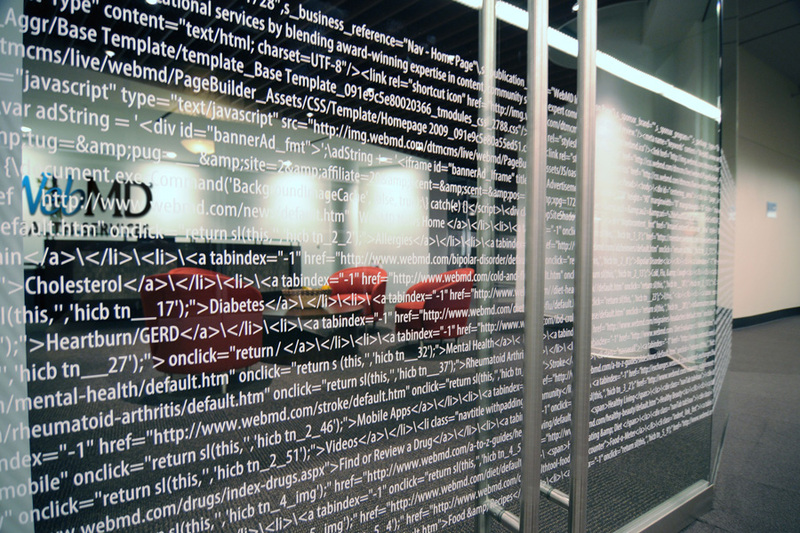 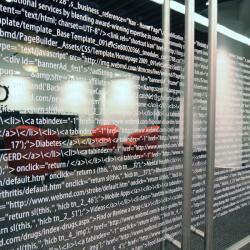 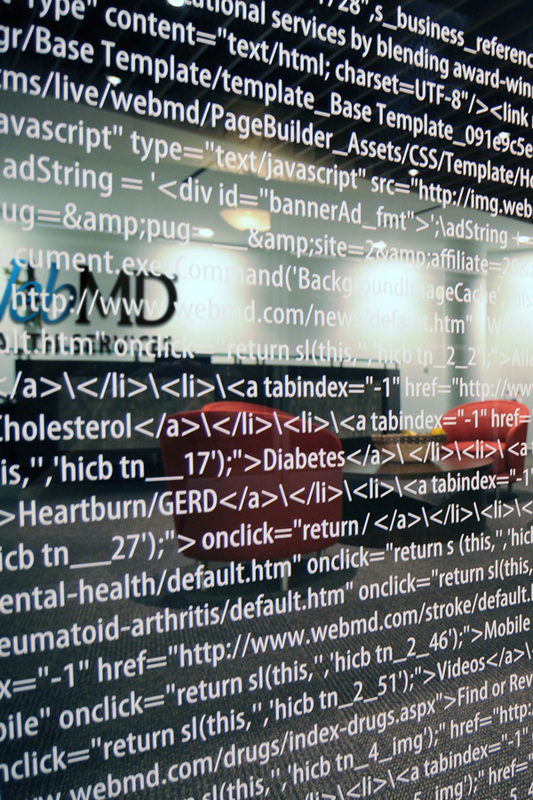 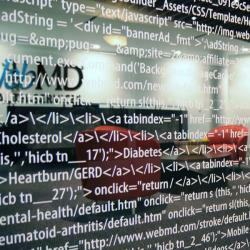 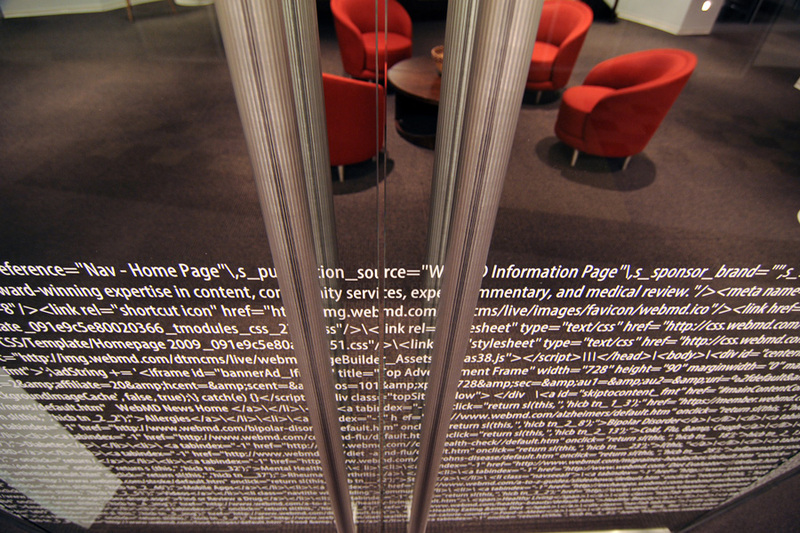 The most intricate being the display of the actual html code for webmd.com across 30 feet of convex entry glass.